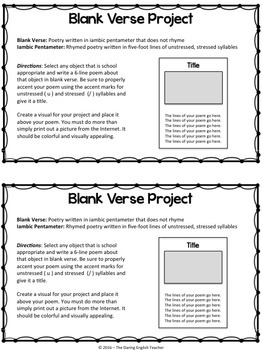 This FREE blank verse project is a great addition to any poetry or Shakespeare unit. For this project, students will create their own poster with a colorful image and original blank verse poem. 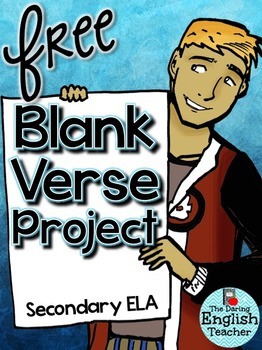 Want to teach blank verse?